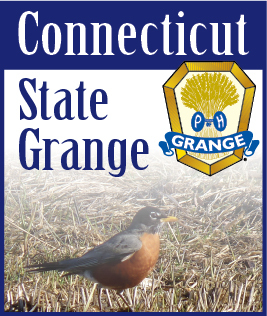 By the time you read this our Connecticut State Grange Membership Committee will have formally met for the first time in 2011. A recent idea that was shared with me involved creating brochures for your specific Grange and distributing them around town at places like the library, community center, Senior Center, or town hall. Remember to include contact information for prospective members to get in touch. Don’t forget to embrace the local media in covering your events and getting the word out. They can be a great asset to our organization. Retaining and building membership, especially with a fraternal organization, can be one of the toughest tasks a leadership team faces. Throughout the year our committee will share ideas on recruiting and hopefully have a little fun along the way. Remember that recruiting new members is essential to the growth of your Grange and our fraternal order. Make it an important part of your Grange’s goals for this year and beyond. Feel free to contact myself or any member of our committee with ideas and thoughts.